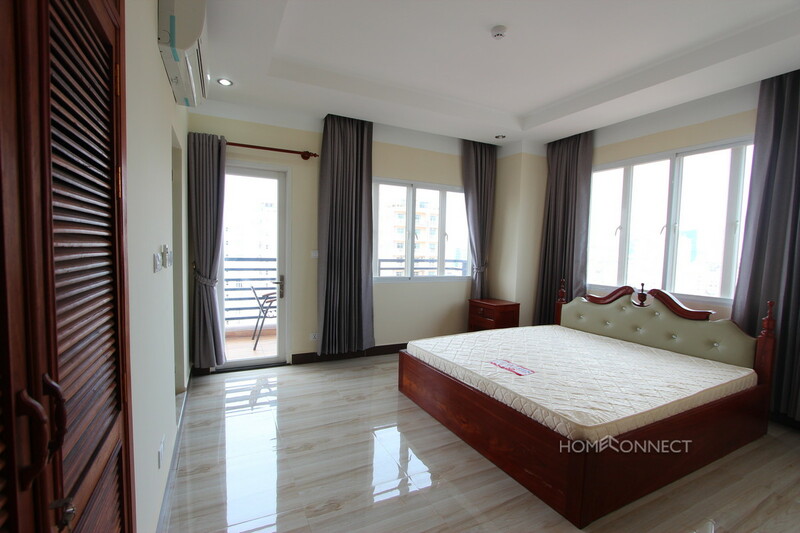 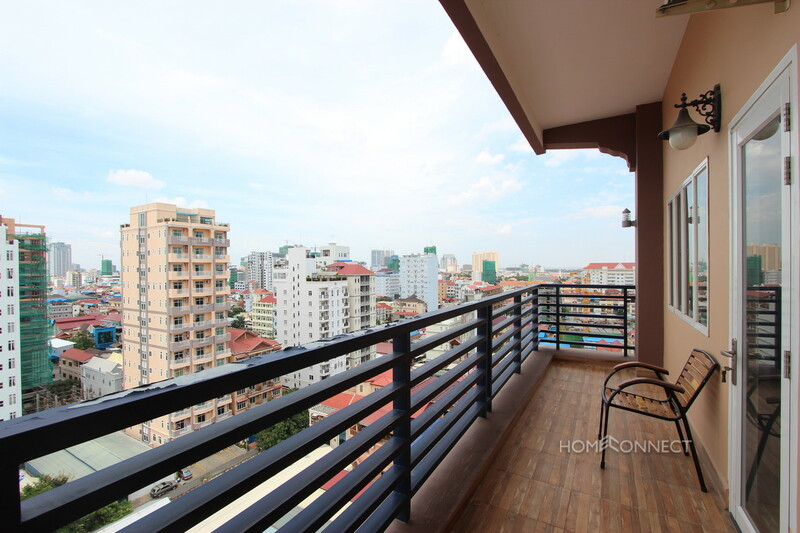 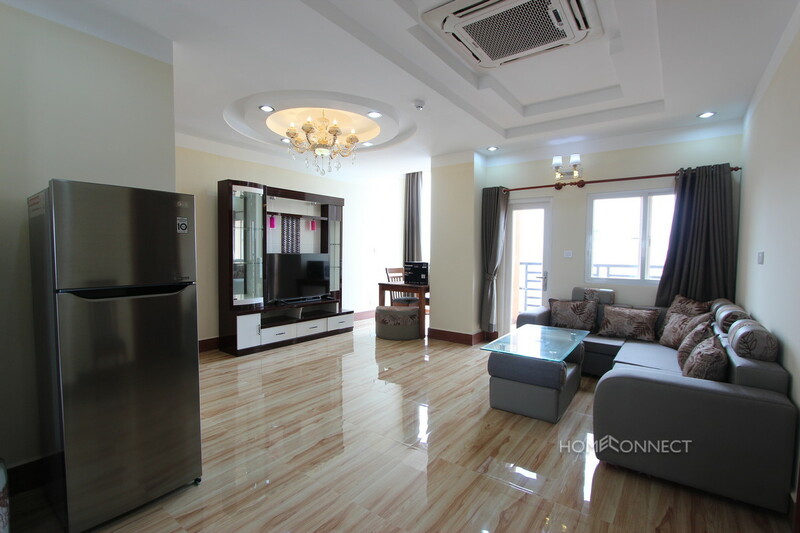 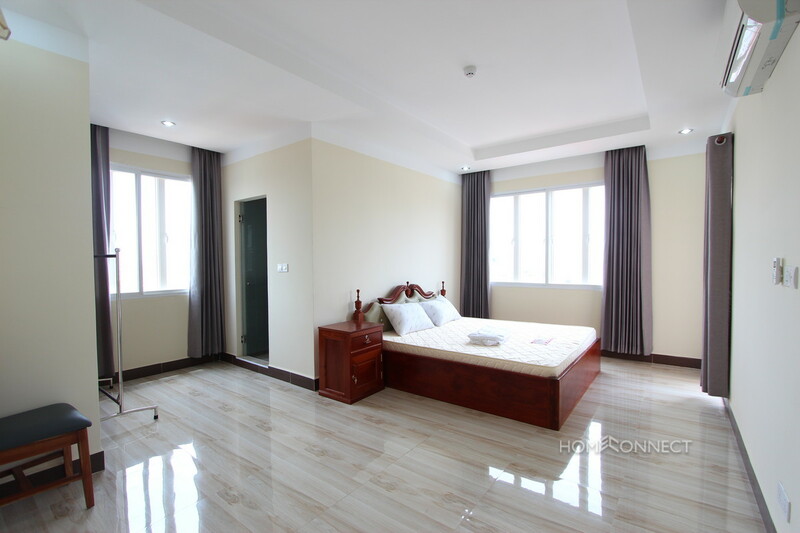 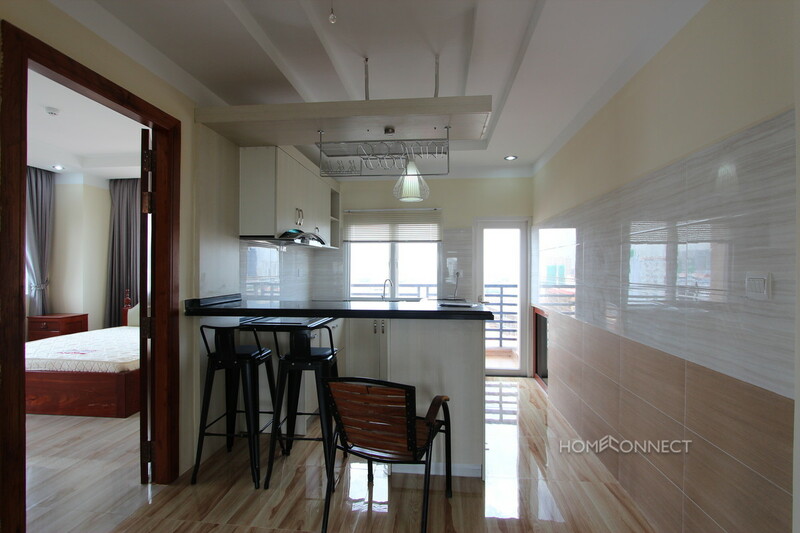 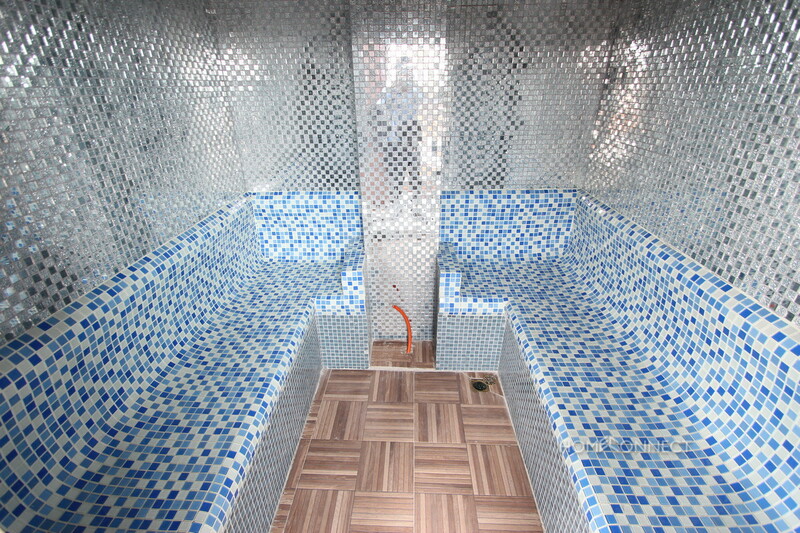 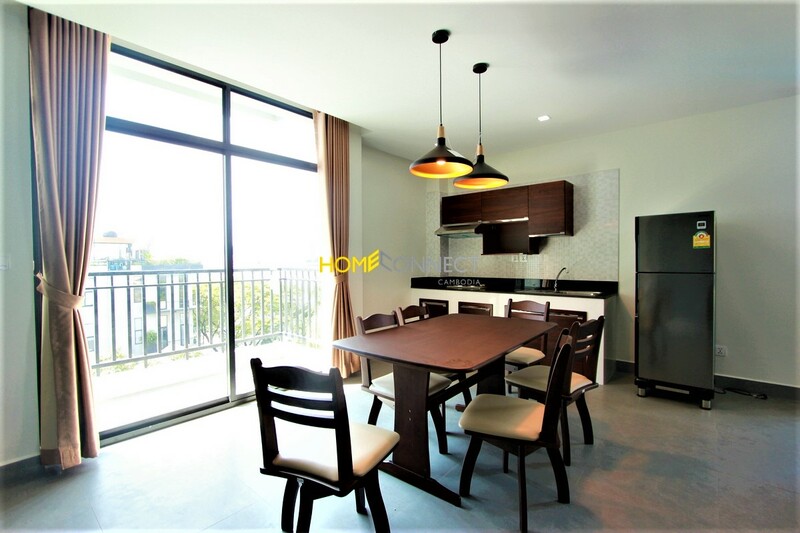 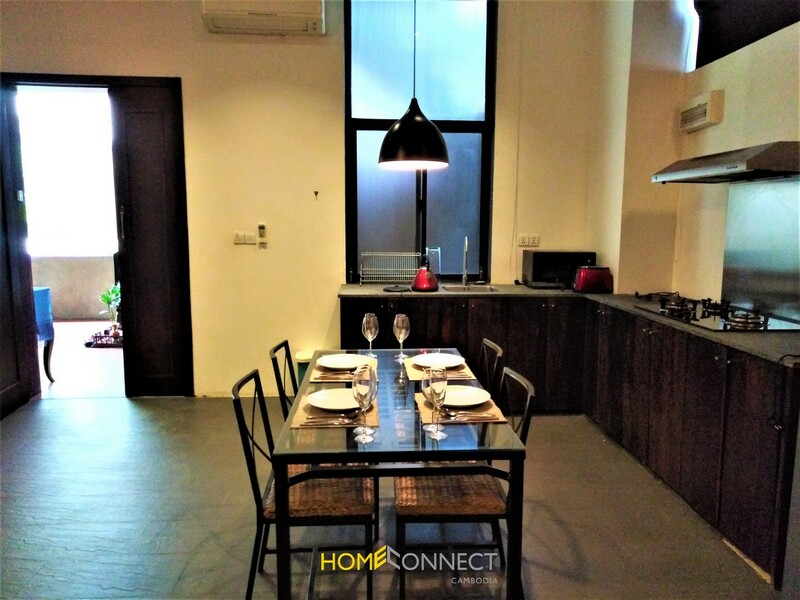 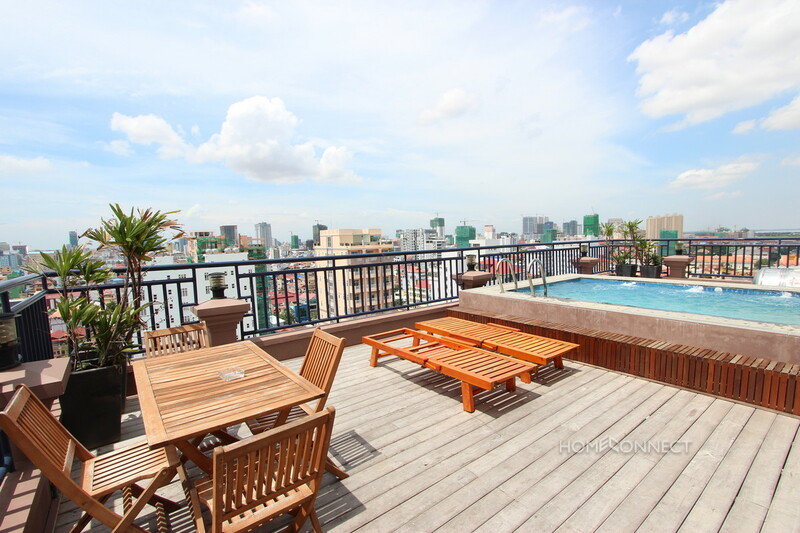 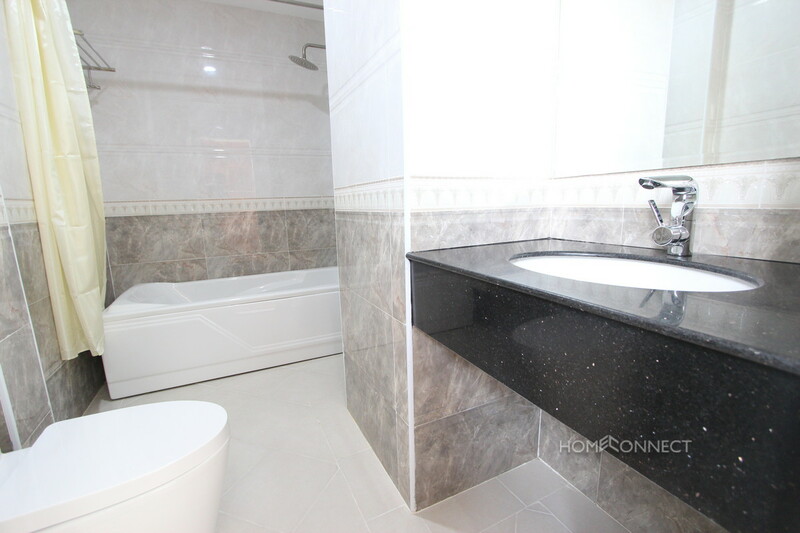 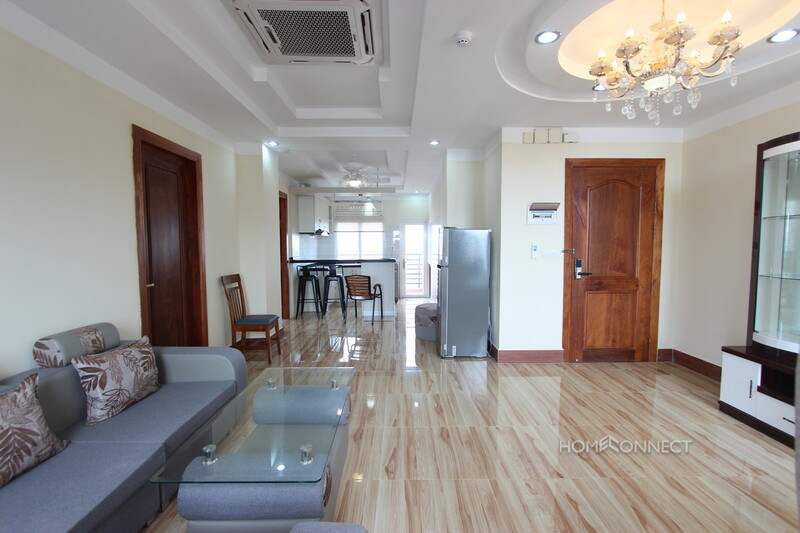 This modern two bedroom and two bathroom apartment is situated in a prime location within Aeon Mall area. 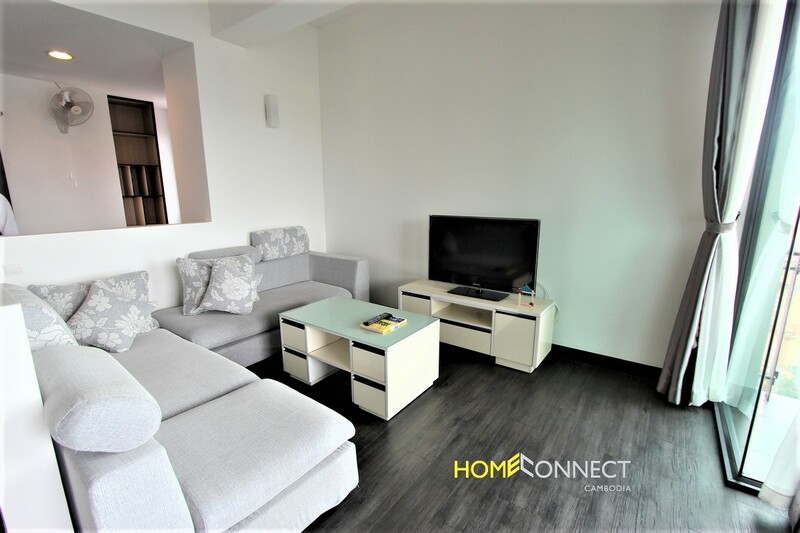 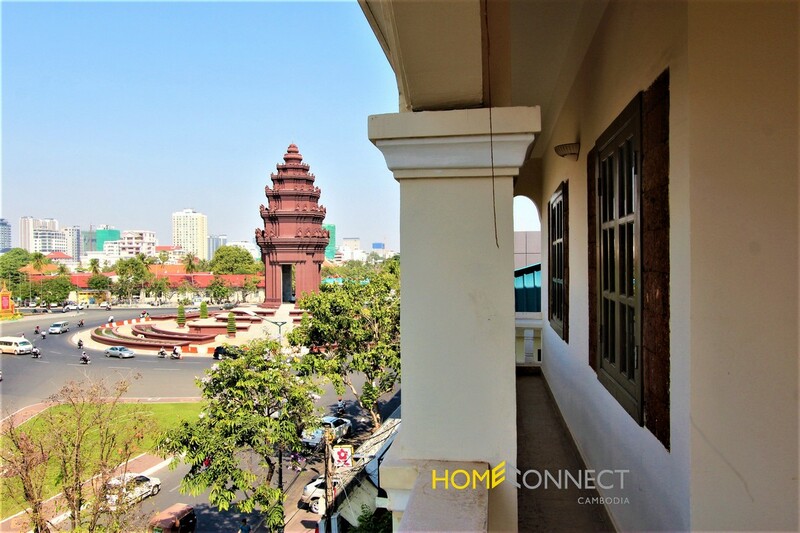 This spacious apartment comes fully furnished, with a Western kitchen, cable TV, large master bathroom with bathtub, 3 balconies throughout the home, and a comfortable living area. 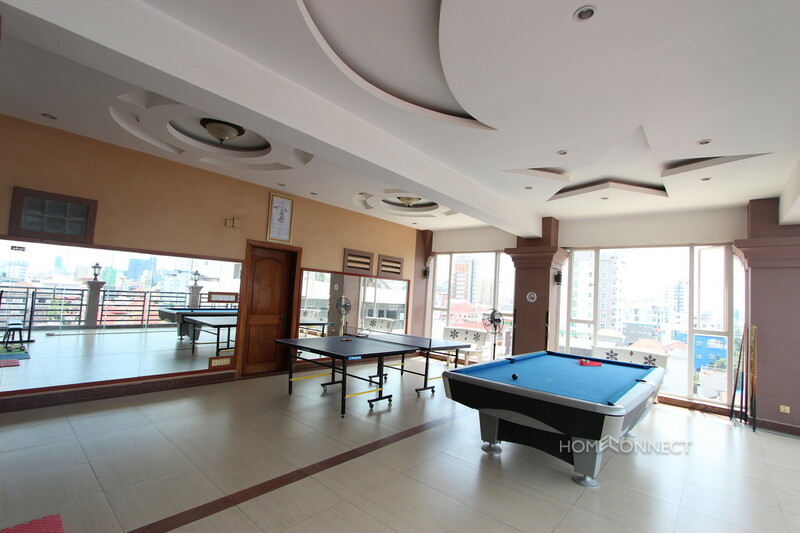 This high rise apartment building also offers a common recreational area, gym, sauna, steam room, and a rooftop swimming pool. 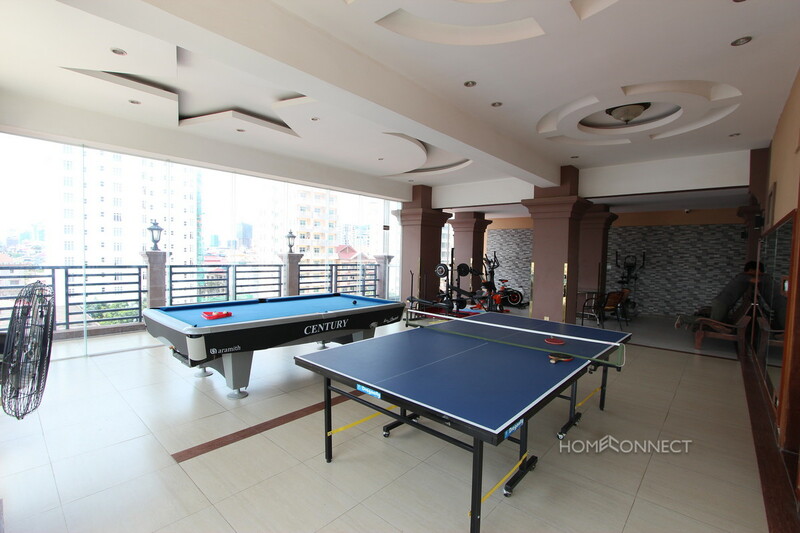 There is space for both car or moto parking and they offer 24/7 security services. 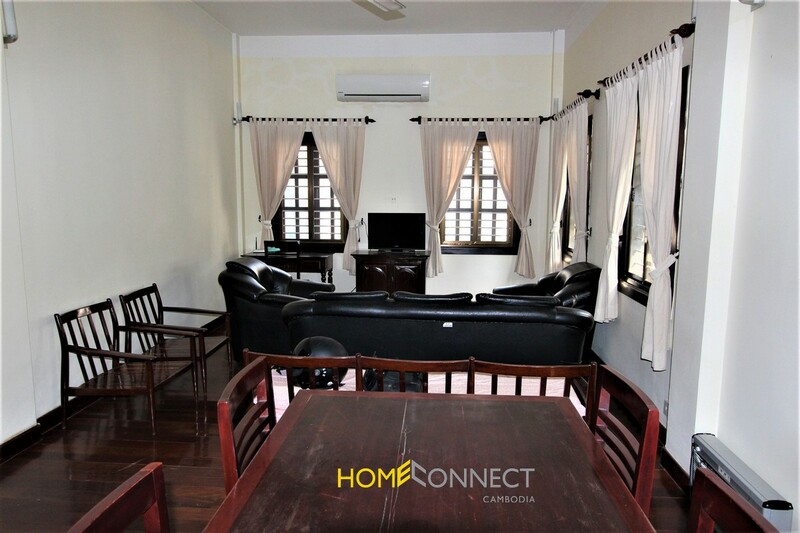 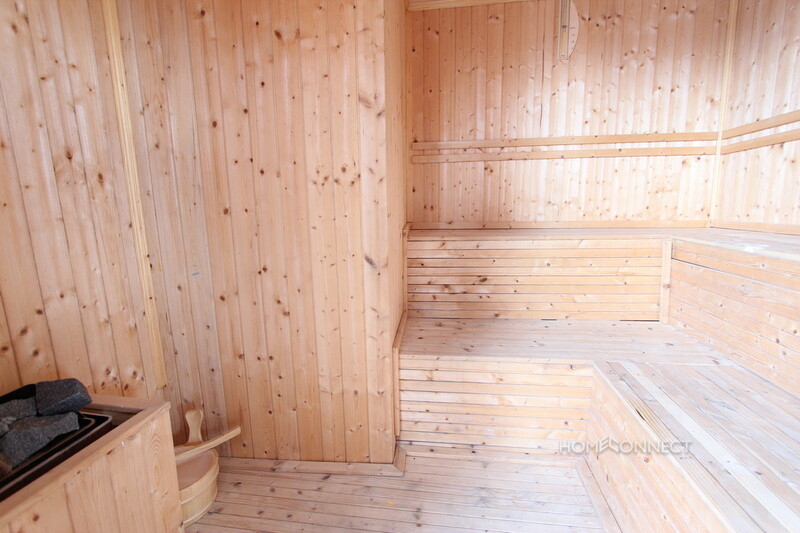 This apartment would be perfect for a small family or two friends looking for a place to call home.